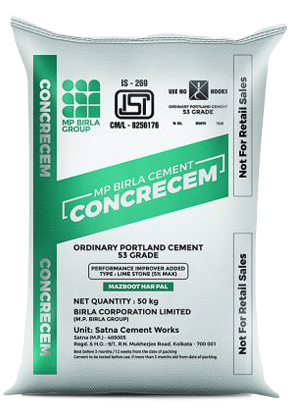 Ordinary Portland Cement (BIS CERTIFICATION FOR 33, 43 & 53 Grade AS PER IS: 269-2015) is the most commonly used type of Portland Cement. OPC is a mixture of calcium carbonate, silica, iron, and alumina. Limestone (calcium carbonate) is heated in a kiln with other components. Once it hardens and turns into “clinker”, it is finely ground with a small amount of gypsum mixed with it to produce Ordinary Portland Cement. 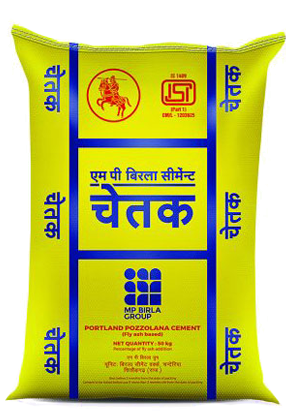 It is mainly used for general construction where it isn’t exposed to sulphates found in groundwater or the soil.